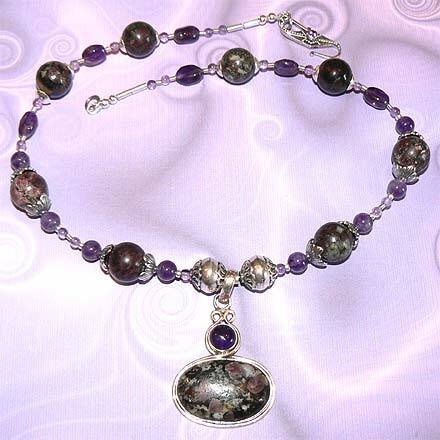 Sterling Silver Eudialyte and Amethyst Necklace. 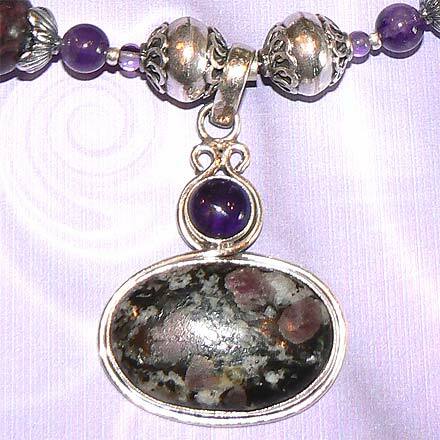 See Closeup. 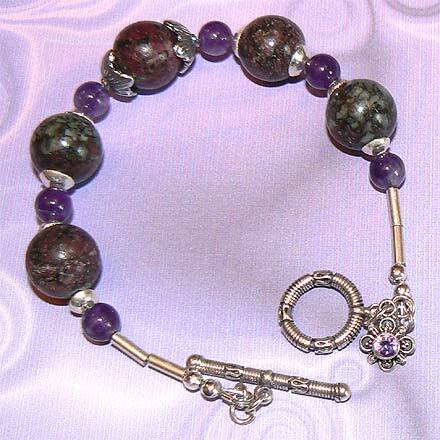 Sterling Silver Eudialyte and Amethyst Bracelet. 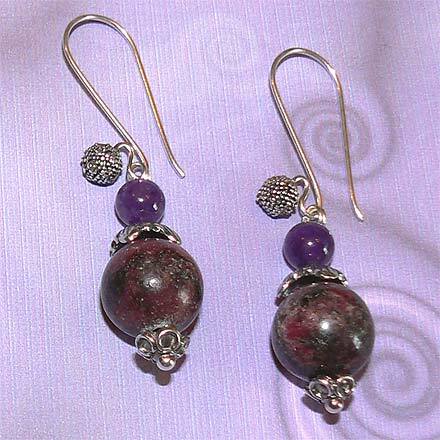 Sterling Silver Eudialyte and Amethyst Earrings.